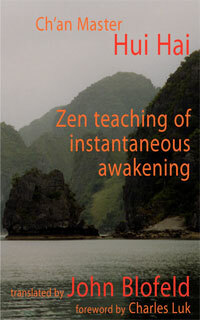 I’ve often spoken of the following words of Dogen Zenji: `Zazen is not step-by-step learning meditation, it is the culmination of totally realised enlightenment.’ `Step-by-step learning meditation’ is to think of peace of mind, or awakening, or practice as something which is separate from yourself. You think you are confused or that you are a practitioner of Zen and that from now on you will practise in order to attain enlightenment or get peace of mind or some kind of quietness. In other words, you perceive a result or an ideal which is far away from you. This is `step-by-step learning medita­tion’. In contrast to this, I’ve often spoken of `beyond learning’. This is to leave all thoughts and emotions which arise and disappear as they are, and realise that these things are the ultimate, that they are the Way. It is to awaken to this. This is something I speak about every chance I get. Practice must be beyond learning. For example, Daiman Konin Zenji devised a test to choose his successor. At that time, Jinshu wrote a verse which said: `Always make an effort to keep the mind clean. Never let it get dusty or dirty.’ He said that we must always work to keep ourselves clean so that dirt or dust does not collect. For that reason, he said we must always carry a cleaning tool with us to polish our­selves. For him, this was practice and Zen. This is a story with which you are all familiar. However, there was a layman at the monastery named Roanja, the man who later become Daikan Eno Zenji. He wrote a verse that said: ‘Essentially, there is nothing. How then can dust or dirt collect?’ In other words, the true nature of things is formless. If there is nothing, then there is no way that dirt or dust can col­lect. 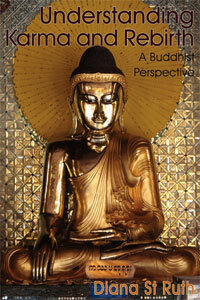 Dust and dirt are also Buddha-nature; they are also the Dharma. Of course, the thing itself—dust or dirt—is formless; there is no substance to it. 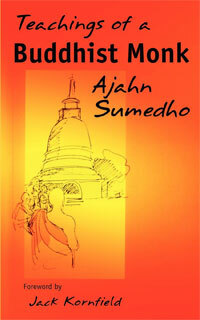 The True Dharma which had been passed down from Shakya­muni Buddha was then transmitted to Roanja. Jinshu, the head monk of a monastery which contained five hundred monks, failed the test. Daiman Konin said that according to Jinshu’s interpretation, eventually we can understand the true nature of things. Eventually might be tomorrow, it might be the day after tomor­row, it might be five, ten or twenty years from now, or it might be at the moment of death. Most people think that practice is something which is lifelong. They don’t have the firm conviction, the strong confidence in `beyond learning’. Because they don’t have that faith, they always forget this moment now, and think that if they do this or that, eventually they will realise their goal. Because of this attitude, `eventually’ never happens. All that their practice comes to, therefore, is this idea of eventually, that prac­tice is something one does till one dies, and that people these days cannot awaken to the true nature of things. This happens to most people. They end up doing prac­tice within the Buddhist teaching, within concepts like ‘practice and realisation are one’, or `the subtle prac­tice of original enlightenment’. `Then wash your bowls and put them away,’ said Joshu. Until then, he had been groping in the dark, but on hearing Joshu’s answer, he suddenly knew how to set about the practice. What did he understand? Usually, we carry our bowls with us in both hands when we come to the eat­ing hall. Unavoidably, we think of things as being separate from us. We don’t realise that all things are the Self. If we understand this in a very usual, common sort of way, we think, `So that’s all there is to it. Just put things back where they belong.’ This is a point which is easy to misunderstand about Zen. This is to see things as being separate from yourself. But this is ‘step-by-step learning meditation’. The young monk asking the question realised `Ah! The bowls are me. I must clean myself.’ In other words, if you do shikan­taza, or koan practice, or breathing practice, then as quickly as possible wash yourself clean of those things. 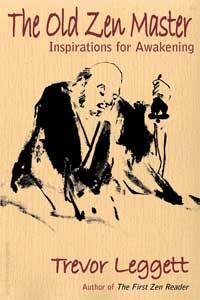 To do zazen or to do your method is dust and dirt. So it is necessary to quickly wash yourself clean of these things. This is what the young monk realised. He was a new monk who had just started to prac­tice. On hearing this one phrase: `Wash your bowls and put them away,’ he understood the point of practice. He realised that practice must be `beyond learning’, that he should not seek elsewhere. For those who hold onto a conceptual understanding of Zen, they will always overlook the result which is called `practice and realisation are one’, or `original enlightenment is subtle practice’. I would like you to realise this. It seems as if things are separate from you, but actually everything is you. To speak ill of others, to break something which belongs to the monastery, and so on, all such activities are you yourself. In old Japan there was the saying: `If you spit at heaven, it will fall back on you.’ All things, including other people, are you yourself. To break something or damage something or kill something—actually, these are not things. All things are you your­self. If you don’t realise this, there will never be true peace in the world. I would like you to awaken to the objective of practice, to understand that this is the way it must be. If you can truly believe this, then it is im­portant to practise in such a way that you let go of that faith. No one begins to practise with the great mind to seek the Way. By learning from the examples of others who have practised and are practising wholeheartedly, we also learn to do the same. Please practise wholeheartedly. Harada Sekkei Roshi is the Abbot of Hosshinji, Japan. He is the author of The Essence of Zen. This article was first published in the Hosshinji Spring 1999 newsletter and is here reproduced with their kind permission. Thank you for this. It makes me think about the difference between the concepts of gradual vs. sudden enlightenment. One can easily understand how one can see how ‘practice makes perfect’, and fall into the trap of ‘eventually’. But within that trap one inherently realizes that enlightenment must be sudden, even if they view it as something to have ‘eventually’ but not now. The trap of ‘eventually’ is, of course, that it can never come, yet the trap is a circumstance, and enlightenment, like the Morning star, is a circumstance. So, practice is a tricky thing sometimes! Once we realize our deep faith, we practice zazen to achieve our goal of enlightenment, yet we tricked ourselves… as this deep faith is our practice, is our enlightened nature. Yes, and as long as we have notion of a ‘self’, we shall naturally think that liberation will take a long time.